Don’t just wish upon a star…make your dreams a reality! 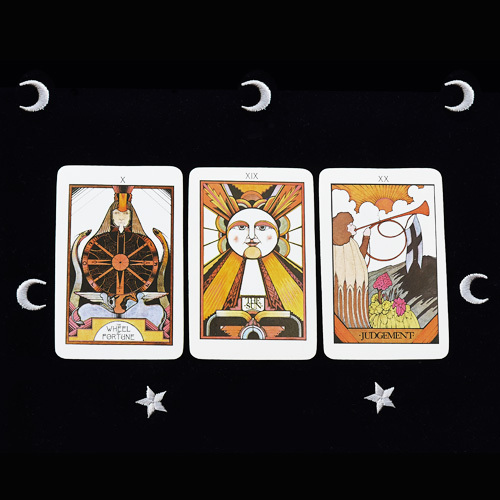 The Star of Manifestation brings together the wisdom of the Tarot and the power of the talisman. Star of Manifestation pendant – genuine quartz crystal druzy set in sterling silver on an 18″ gemstone chain. 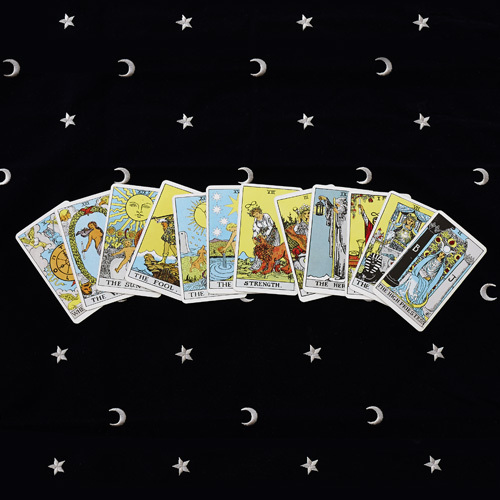 One Hour Tarot reading (in Toronto or via Skype or Zoom anywhere) – set your intentions for the year ahead, seal those intentions into your Star of Manifestation pendant, create a personal power affirmation or mantra to inspire and support you as you move towards your goals and dreams. We are approaching a New Year…how does that make you feel? At this time of year, I feel all the feelings. I am excited about the possibilities that lie on the horizon, I am a little bit melancholy about the time that has passed and what has been lost…I am filled with fire and ambition at what I want to create, and I am also quietly anxious about not living up to my potential or missing out on opportunities because of fear or a lack of confidence. At this time of year, we are filled with dreams, desires, and a longing for wishes to come true. This is why I have created this magical offering, the Star of Manifestation. 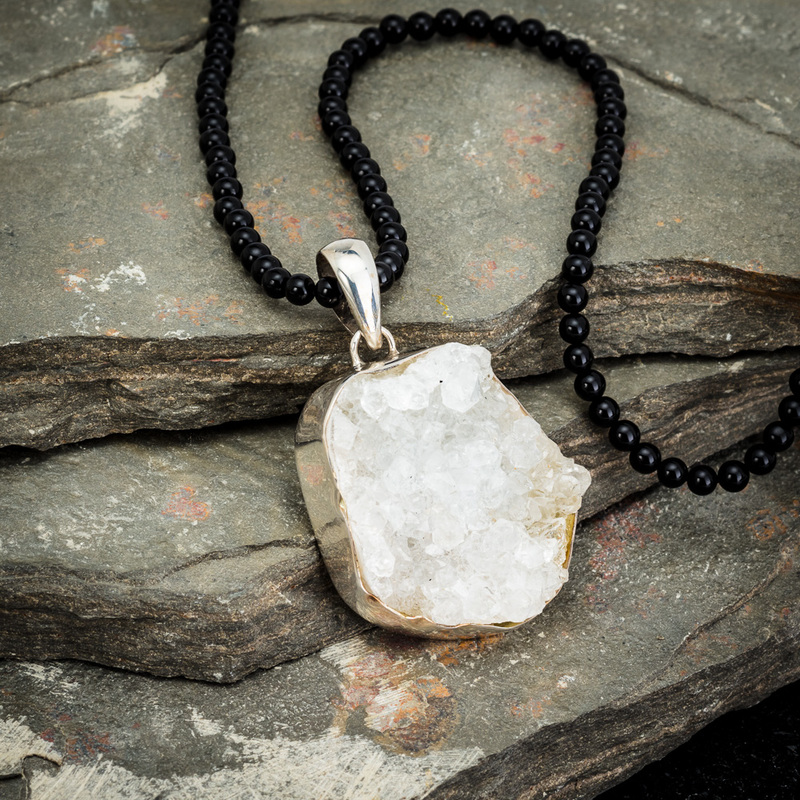 Star of Manifestation pendant – genuine quartz crystal druzy set in sterling silver on an 18″ gemstone chain. 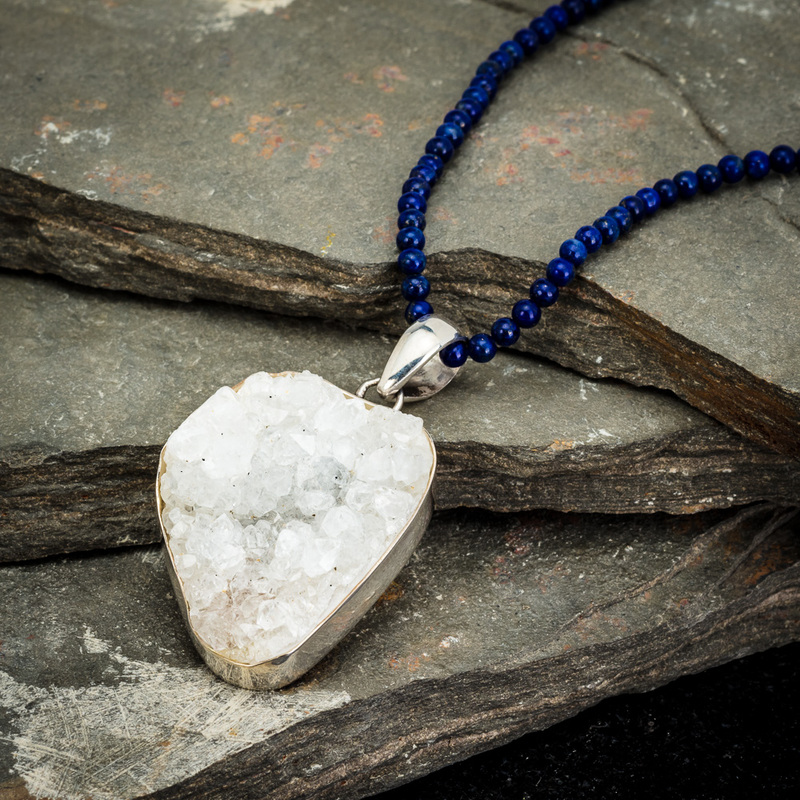 Crystal druzy is a stone of stardust, snowflakes, fairy dust fused together. 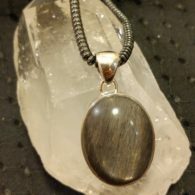 This shimmering stone helps to clear blocked energy, while promoting mental clarity, connection with spirit and with your higher self. 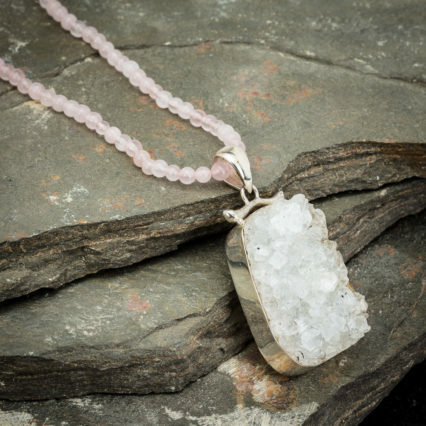 The druzy is said to enhance feelings of optimism, peace and harmony. Your Star of Manifestation talisman is a light that you send out into the world, a light that attracts and draws your intentions to you. 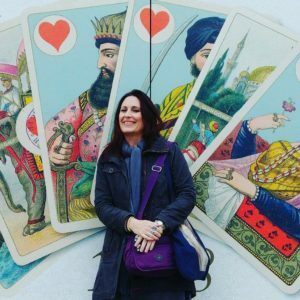 One Hour Tarot reading (in Toronto or via Skype or Zoom anywhere) – set your intentions for the year ahead, seal those intentions into your Star of Manifestation pendant, create a personal power affirmation or mantra to inspire and support you as you move towards your goals and dreams. You reading will take place at a convenient time, in the month of December 2018, January 2019 or February 2019. You will receive your talisman in person at your reading, or it will be mailed to you beforehand so that you have it for your Skype/Zoom session. 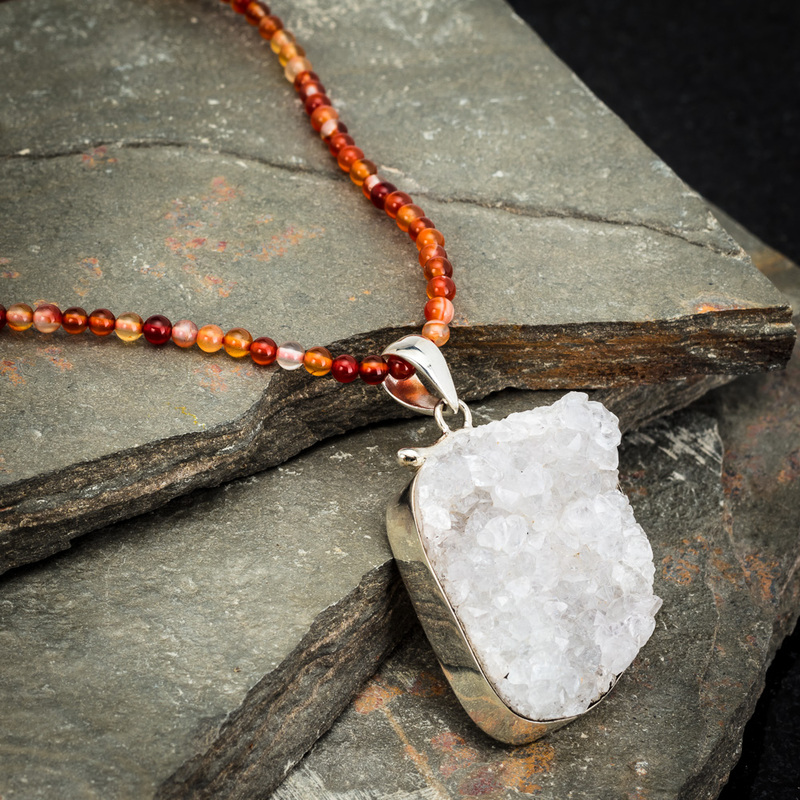 ONLY FOUR PACKAGES AVAILABLE – BONUS – ONE MORE ADDED (with garnet chain) – SOLD OUT! NOTE: At check out, please add shipping cost to your purchase if you are not meeting in person with me in Toronto. Please fill out the information form you receive to schedule your reading, or contact me at info@innergoddesstarot.com after you make your purchase. Be the first to review “Star of Manifestation – Talisman & Tarot Reading” Click here to cancel reply.